Wayne Homes, an Ohio-based custom home builder that specializes in affordable on-your-lot homes, has created a new position within the company. 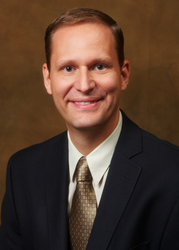 Earlier this month, Keith Anstine was named Vice President of Systems Integration. Ohio-based custom home builder, Wayne Homes would like to announce Keith Anstine as the Vice President of Systems Integration. In 1994, Keith started his career with Wayne Homes an Assistant Controller. Since then, Keith has worn many hats within the company and been promoted numerous times. His most recent role began in 2007as Regional Vice President of Construction. With this new role as Vice President of Systems Integration, Keith will focus more on Management Tools and Systems that will enhance both employee and customer experience and continuous improvement. Keith and his wife Rebecca reside in Uniontown, Ohio with their two sons Mitchell and Jackson. Anstine is not only an employee of Wayne Homes, but also a Wayne Homes customer, building his own home in 2015. For more information about building a custom home with Wayne Homes visit WayneHomes.com to see all Model Home Center locations. To find out more about employment opportunities with Wayne Homes, see current job opportunities. Wayne Homes is a custom home builder in Ohio, Pennsylvania, Indiana, Michigan, and West Virginia (see all Model Home Centers). We offer more than 40 fully customizable floor plans and a team dedicated to providing the best experience in the home building industry. For more information, Ask Julie, our online sales team, by Live Chat or call us at (866) 253-6807.